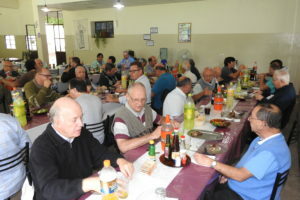 The Brothers of the Province of Our Lady of Hope, from the three sectors: Uruguay, Argentina and Brazil, met in Villa Holy Family, San Antonio de Arredondo, Córdoba, Argentina, from January 3 to 13. 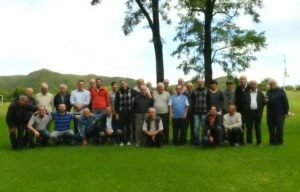 With the majority of the Brothers present, the first three days were spent together with work in commissions to read, reflect and point out the ways of implementing the proposals of the last Provincial Chapter and to work on Worksheet 3 to point out indications for the next General Chapter. 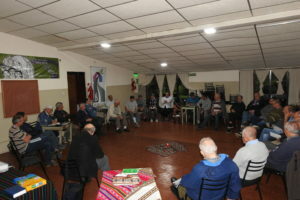 From the 6th to the 12th the retreat was directed by Monsignor José Demetrio Jiménez, OSA, of the Prelature of Cafayate, northern Argentina, who reflected on aspects and dimensions of the call and adhesion to Jesus Christ. 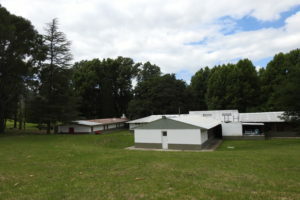 During the hour of adoration, before lunch, the Brothers prayed before the Blessed Sacrament the 7 letters to the Churches, chapters 2 and 3 of the Apocalypse. In the celebration of the Eucharist each day the Word of the biblical texts mentioned was shared. 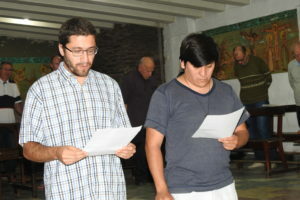 In the final Eucharist of the retreat there was the renewal of the temporary vows of 2 Brothers. 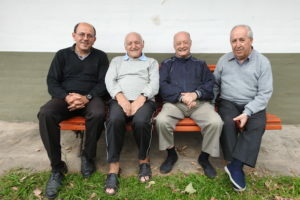 With the wonderful nature and the fraternal atmosphere, these were days of spiritual renewal and fraternity enjoyed by all.